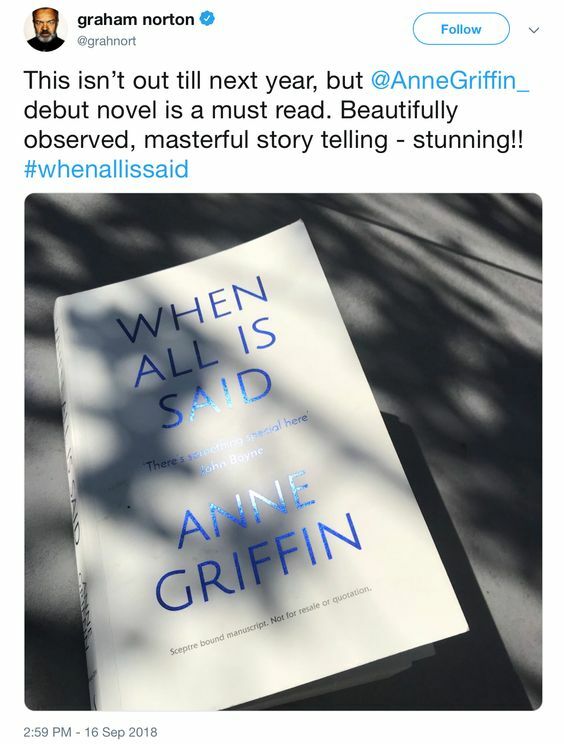 Heads-Up: Anne Griffin to Guest on Graham Norton's Radio Show this Saturday! | Zeno Agency Ltd.
Heads-Up: Anne Griffin to Guest on Graham Norton’s Radio Show this Saturday! Just a quick heads-up: we’re very happy to report that Anne Griffin will be a guest on Graham Norton’s BBC Radio 2 show this Saturday! 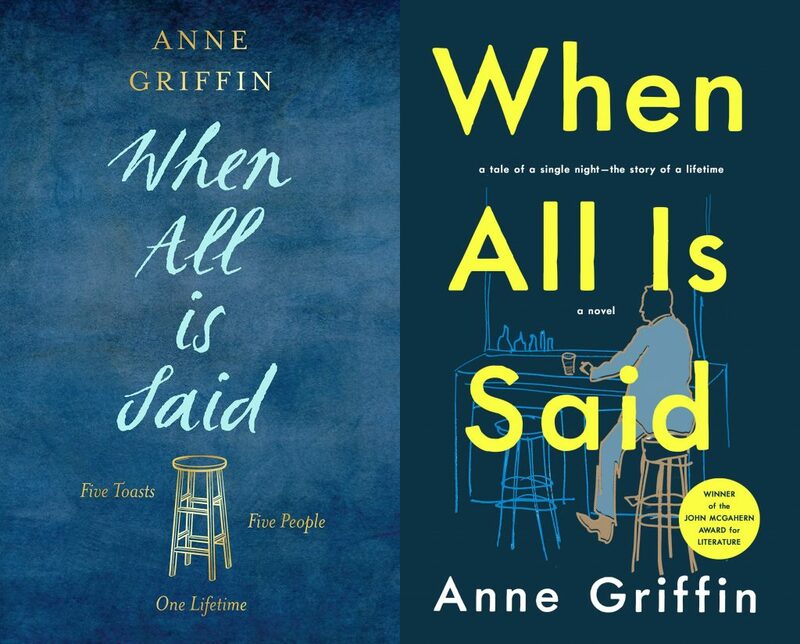 Anne will be discussing her critically-acclaimed and bestselling debut novel, WHEN ALL IS SAID! The show airs at 10am, but will also be available through the BBC’s various online media, too. Over the course of this evening, he will raise five toasts to the five people who have meant the most to him. Through these stories — of unspoken joy and regret, a secret tragedy kept hidden, a fierce love that never found its voice — the life of one man will be powerfully and poignantly laid bare. previous: APOCALYPSE out NOW NOW (again) in the UK!